Readers of ARTBA publications are the decision makers at their firms or public agencies. 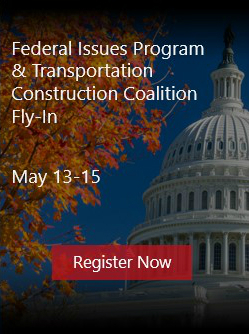 Advertising in ARTBA print and digital publications will help brand your products and services in front of these key audiences: top executives with highway and bridge contractor companies, planning and design firms, federal officials at the U.S. Department of Transportation and modal agencies, safety engineers and equipment procurement officers at state and local transportation departments, and members of Congress and their staffs. Transportation Builder, the flagship publication, has an editorial focus that reflects the mission of the association. Published six times annually, it is the authoritative source of information on federal transportation development issues. It is different than any other industry magazine because of its singular focus and in-depth coverage of investment, policy, safety, economics, and environmental and regulatory issues—all of which impact the development of the transportation construction market. Leadership Directory & Buyers’ Guide confirms that ARTBA members are the “who’s who” of transportation design and construction. This is the association’s most frequently utilized resource throughout the year. This convenient directory helps members connect with each other easily and often. The Buyers’ Guide section allows companies to provide more information about their products and services through expanded listings that appear in the printed directory and online at www.artba.org. It is published annually in December. www.artba.org is the leading online resource for transportation development professionals. ARTBA’s website features the latest transportation investment, policy, economic, environmental and safety news from Washington, D.C.